Treating children in the dental clinic has always been a daunting task. This coupled with the sight of blood further increases the difficulty for the dentist. Thus, a discussion in bleeding management of paediatric patients is worth a mention. It is relatively simple to perform restorative or endodontic work on cooperative children as anaesthesia can be administered without much trouble. But, what if the child is uncooperative? Managing such a patient can be rather difficult, which makes it harder to achieve a desirable result. Let’s consider a case where pulpotomy or pulpectomy has to be performed. If these treatments are performed with a hard tissue dental laser, then they have multiple benefits in controlling the bleeding emanating from the pulp and achieving predictable results. So, how does a laser help in these cases? While dealing with the said procedures, the laser brings about haemostasis in the pulpal floor and sterilises the area at the same time. Thus, the bacterial count in the area of operation becomes drastically less. While performing these procedures it is mandatory to use a dental dam. First, the dentist places a dental dam and isolates the area. The hard tissue laser helps to eliminate the caries and because of this treatment modality little or no anaesthesia is needed. A major variable in this would be the doctor-patient relationship. If the caries excavation leads to an exposure and blood is visible from the pulp, shining a laser light stops the same, and sterilizes the area. The area can then be filled following standard protocol in paediatric dentistry. This guarantees success in these procedures with rather less efforts from the dentist and it increases patient comfort. In many instances, a multi-disciplinary approach has to be taken to deliver optimum results to the patient. There are ample examples of canines being impacted or placed high in the arch, which are not clinically visible. As a part of orthodontic treatment, these canines need to be exposed and brought into alignment as part of the procedure. This task is performed by the oral surgeon in which the patient is comfortably seated in the dental chair and anaesthesia is administered. A conventional full thickness periosteal flap is exposed, the canine is either visible or under the alveolar bone. Using advanced imaging techniques like CBCT the exact location of the canine is determined pre-operatively. Once the flap is raised there is obvious bleeding. At this time, a laser is used to control the bleeding and achieve soft tissue haemostasis. This drastically improves the operator’s field of vision as compared to conventional surgery, making it easier to operate. Next, for the osteotomy a hard tissue and YAG Laser can be used. Osteotomy is performed by removing just the bone structure which is obstructing the view of the canine. Once the canine is visible and the orthodontist feels that he can place an orthodontic bracket for a guided eruption, the osteotomy is stopped. Dentists who have performed the procedure conventionally will agree that the uncontrolled bleeding makes it very difficult to etch, prime, and bond the bracket. But, as the procedure is performed using a hard tissue laser, the bleeding is next to nothing. What you have is a relatively crystal clear operating field which makes it easy to bond the orthodontic bracket. After the bonding is done, a ligature wire must be tied around the bracket and extended onto the main archwire. After which, it is slowly tightened causing the archwire to deflect and pull the canine down into the arch. The bonding needs to be a one hundred percent, or else the bracket debonds internally and the whole exercise is in vain. Orthodontists are extremely critical of how much soft and hard tissue has been manipulated to ensure good hard and soft tissue healing while getting the job done to preserve maximum bony architecture and allow accurate movement of the canine into the arch. This procedure, which was previously traumatic to patients both psychologically and physically, has become relatively comfortable and acceptable. This is due to little or no blood during the procedure along with less post op complications like swelling, pain, etc. This we have seen in all the articles that by incorporating changes in our practice we can achieve results today which seemed not possible earlier. 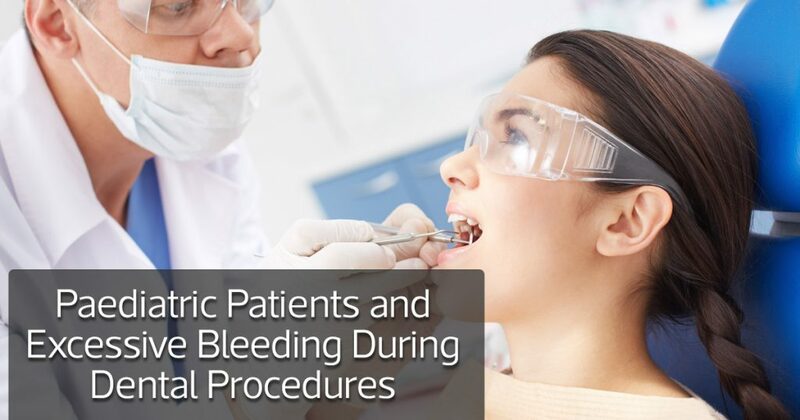 Today, controlling bleeding and providing good results is so much easier in all the specialities of dentistry due to improved gadgets and modern techniques. Wisdom Teeth Extraction: What You Need to KnowAre Robots the Future of Dentistry?